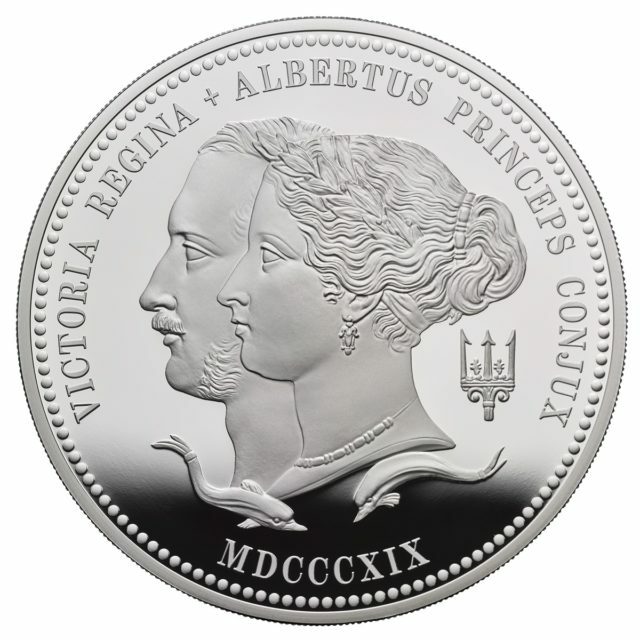 The 200th anniversary of Queen Victoria’s birth is being celebrated with the launch of new commemorative coins. The coins are not entering general circulation, and are available to buy from the Royal Mint’s website. The commemorative £5 Queen Victoria coin, designed by artist John Bergdahl, features his interpretation of a “young head” portrait of Queen Victoria, surrounded by innovations from the Victorian era including the telephone. The design is also embellished with cogs, in a nod to the industrial revolution. May 24 will mark the 200th anniversary of Queen Victoria’s birth. Having inherited the throne just one month after her 18th birthday, Victoria reigned for more than six decades. The Royal Mint said that due to the length of time she spent on the throne, the coinage issued in Queen Victoria’s name was prolific, and was used by a quarter of the world’s population. The gold kilo coin features a double portrait of Queen Victoria and Prince Albert. The Mint said William Wyon’s design portrays the young couple “at their peak and exemplifies the optimism and drive of the age”.